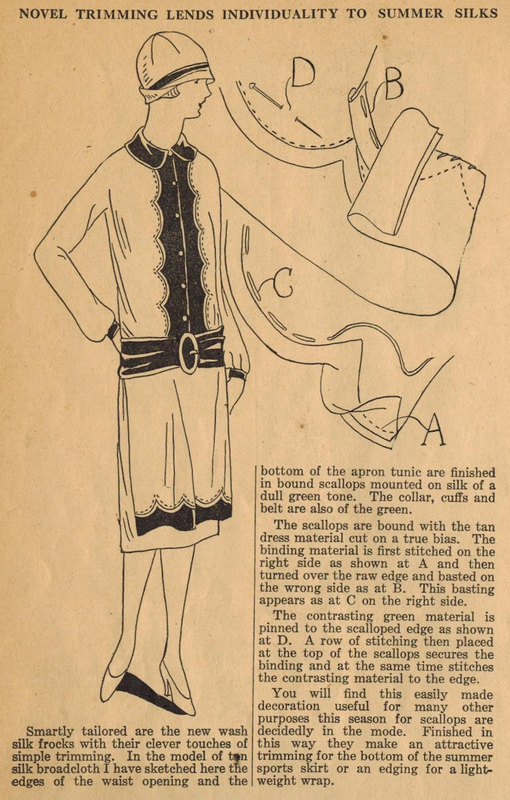 This very charming frock is trimmed with scalloped edging - a very wonderful tip well illustrated and clearly explained by Ruth Wyeth Spears for her 1920s audience. The contrast fabric make this technique especially distinctive and appealing. Kudos for a great tip, Ruth! And if you need a template for the scallops, just check this earlier Home Sewing Tips from the 1920s post on adding scalloped trim.